Our relationship with Tiger has always been rooted in golf. We didn’t form a relationship with him so that he could act as an arm’s length endorser. Far from it. We chose to partner with Tiger in 1997 because we saw him as the world’s best, most talented and exciting golfer. We struck that partnership with the assumption that he would remain near or at the top of his sport for years to come. By his own admission, he’s made some mistakes off the course. But regardless of what’s happening in his personal life, and regardless of his decision to take a personal leave from the sport, Tiger Woods is still one of the greatest athletes in history. This is surprisingly rational behavior, because Moore (and EA by extension) is explicitly avoiding a very fundamental bias in human psychology: the “fundamental attribution error,” or “FAE.” It’s so fundamental, it’s got “fundamental” right there in its name. You can’t get more fundamental than that! Tiger doing his best Darth Vader impersonation. FAE is people’s tendency to rely too much on internal attributes (like personality) to explain others’ behavior and to underestimate external attributes (like the situation or environment). 1 The classic example is to imagine that someone is talking to you and that they cross their arms. FAE would lead us to believe that this body language is because they’re defensive or dislike you. But maybe the thermostat is set low and the person is just cold. The other classic example of FAE was provided by Edward Jones and Keith Harris in an experiment where they asked subjects to read essays that were either in favor of or against Cuban dictator Fidel Castro. 2 Even when told that writers were randomly asked to manufacture a pro or anti Castro essay on the basis of a coin toss, subjects STILL tended to believe that the authors wrote what they wrote because they held the views espoused in their essays. In other words, they attributed the essays to internal factors (beliefs) instead of external ones (instructions by the experimenter). In other words, Woods has been presented as the embodiment of bourgeois virtues: dedication, hard work, single-mindedness. Indeed, when, in 2008, Woods won the U.S. Open while essentially playing on one leg, the Times’ David Brooks devoted a column to his extraordinary ability to block out distraction and focus on the matter at hand, dubbing him “the exemplar of mental discipline” for our time. For millions of people–many of them, to be sure, affluent middle-aged white guys–Woods embodied an approach not just to golf but to life. Lehrer goes on to expand on how this relates to the FAE. Before the scandal, we attributed all of Tiger’s success to his fundamental, internal qualities –his drive, talent, focus, and personality. When the headlines hit the fan, everything we heard about Woods was that he was unfaithful, dishonest, and unreliable. We were shocked (and thus interested in the story) because we couldn’t figure out why someone with such focus and drive could do what he did. It did not compute, because the FAE makes it hard to consider how his behavior on the greens could have more to do with the fact that he was ON THE GREENS and that his behaviors could vary so much across situations. But squishy human brains tend not to work that way; we think that everything he does is based on the little slice of character we’ve seen on TV, so everyone drastically re-evaluated who he “is.” Which is not to say, of course, that infidelity is excused in any circumstances; it’s just a matter of how shocking it is to us when we held someone in high regard based on seeing him mostly in just one situation and can’t resolve the “two Tigers” we think we see, when it’s really just one Tiger who acts differently when he’s golfing. This is why I think EA’s decision (for now, anyway) to stick with Woods for their PGA Tour series is commendable, or at least rational. Woods may be a philanderer in some situations 3, but on the golf course, real or virtual, he still embodies all those things that EA wants to associate with its brand –competence, focus, reliability, and top-tier play. Despite his cheating on his wife, Woods is still a great golfer. Well, he would be, if he hadn’t dropped out of the game. But you know what I mean. 2. Jones, E. E. & Harris, V. A. (1967). The attribution of attitudes. Journal of Experimental Social Psychology, 3, 1–24. Of course, EA’s decision seems to rely on the off-chance that none of their customers exhibit the FAE either, which seems pretty unlikely. 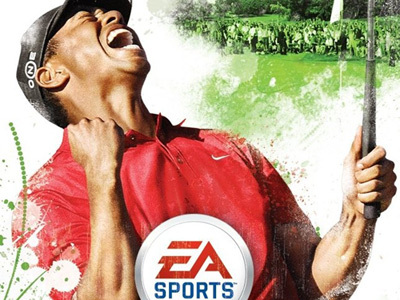 Granted, Tiger’s still the only household name in golf, so EA may have decided that it’s the best of two evils. True, I don’t doubt that there are multiple reasons for the decision. Soccer legend Pele actually refers to himself in the third person, like Pele the legend was a separate myth from Edison the “normal” person. Their decision to include a “Cheat on your wife” minigame in the PGA Tour series is, I think, somewhat more questionable. I’ve long been interested in these fundamentals of psychology and how they reveal the patterns of our game playing habits. After reading swathes of stuff by game designers, writers, computer scientists and media studies people, its good to see an actual psychologist discussing it.